Many would see the seeming “revolution” that is unfolding right before our eyes in Zimbabwe as long overdue. But there can be no running away from the fact that Mugabe has earned his rightful place in the history of Zimbabwe. Robert Gabriel Mugabe, who became a Zimbabwean revolutionary and politician was born 21 February 1924. He previously led Zimbabwe as Prime Minister from 1980 to 1987 and chaired the Zimbabwe African National Union (ZANU) group from 1975 to 1980, having led its successor political party, the ZANU – Patriotic Front (ZANU–PF), since 1980. In his early years, he was ideologically identified as an African nationalist with a high dose of “negritude” persuasion. He was self-identified as a socialist after the 90s and later developed policies that became derisively known as “Mugabeism”. It is sad that whole generations have known nothing other than this brand of politics in their own country; and for so long..
Having dominated Zimbabwe’s politics for nearly four decades, Mugabe has been a controversial and divisive figure. He has been praised as a revolutionary hero of the African liberation struggle who helped to free Zimbabwe from British colonialism, imperialism, and white minority rule. Conversely, he has been derided as a dictator responsible for economic mismanagement, widespread corruption, anti-white racial discrimination, human rights abuses, suppression of political critics and crimes against humanity .But there will be very few people around the globe, who would sympathise with or shed a tear for Robert Gabriel Mugabe; the man who is credited with the birth of present day Zimbabwe. Notwithstanding his political demagoguery, many will see the man with the longest political CV as an affront to the democratic instincts of his fellow citizens. Many may appreciate his freedom fighting prowess, but his recalcitrant and “until I die” hold on to power may have served as his hubris. Others will see him as one of the most radical revolutionaries, who became a conservative the day after the revolution. In spite of his entire negritude forte, and by all political standards, Mugabe delegitimised his position by virtue of the longevity of his hold on power. We all know that a revolution is not an apple that falls when it is ripe. Sometimes, we have to make it fall. That is exactly what the military in Zimbabwe have done; because when dictatorship becomes a fact, revolution becomes a right. Under such circumstances, it becomes inevitable that the tree of liberty must be refreshed from time to time with the blood of patriots and tyrants. Hopefully, Zimbabwe will steer clear of this. Alpha Conde, who is also Guinea’s president, said the AU condemned the actions of army leaders in the country as “clearly soldiers trying to take power by force”. Surprisingly, even China, through its foreign ministry spokesman said that “China hopes that relevant parties can properly handle their internal affairs”. How about that for neutrality? President Jacob Zuma of South Africa as chair of SADC, has in the meantime called for calm and restraint and has expressed hope that developments in Zimbabwe would not lead to unconstitutional changes of Government as that would be contrary to both SADC and African Union positions. 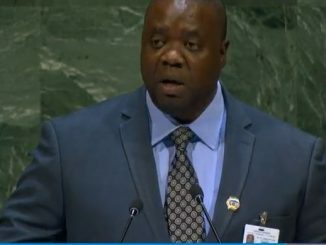 He further said that SADC will continue to closely monitor the situation and remains ready to assist where necessary to resolve the political impasse in keeping with established SADC Protocols and processes. That is rich, coming from Jacob Zuma. So where was SADC, when Mugabe held on to power and transformed the country from the “bread basket of Africa” to the “begging bowl” of the continent? But such statements are not surprising because any expectation of anything to the contrary would be like asking foxes to vote for the welfare of chickens, or asking turkeys to vote for Christmas. But you cannot help but laugh at the political semantics used by the military. Understandably, the army like in every coup is struggling to put on the garment of legitimacy as the first aim. 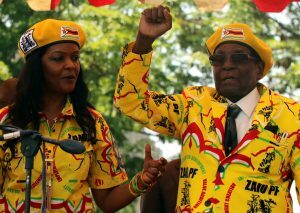 We are told that Mugabe and his wife are under house arrest or in custody; but it is not a coup. Some have even called it a “bloodless correction”. You can understand their position though; because such military take overs are fast becoming a thing of the past in Africa. Interestingly, most military coups or invasions are done in the name of democracy against democracy.Unfortunately; it had to come to this; as African leaders have found every trick in the book to remain in power for as long as they can. The last decade has seen some significant changes to the political canvass in African countries. In days gone by, coup d’états was the palm oil with which politics was eaten. Ask Nigeria, they perfected the art of subversion in politics. But there seems to be an African political renaissance on the horizon, although the resistance to that is evident in little dots around the continent. There has been a steady introduction of term time limits for African leaders. Although a handful of leaders like Paul Biya (Cameroon), Yoweri Kaguta Museveni (Uganda) and Jose Eduardo dos Santos of Angola still continue to defy political logic for God knows how long. But the writing seems to be on the wall; that Africa will no longer be the fiefdom, chieftain or kingdom it used to be. 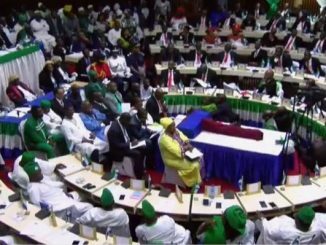 Recently in the Gambia, it took a significant amount of threat and show of force from the African Union to get rid of Yahya Jammeh. We saw for the first time, a judge was able to nullify the results of the elections in Kenya, after the opposition cried foul. But as we all know, as long as their electorate has learnt to shoot without missing, African leaders will learn to fly without perching. With their unquenchable thirst for power, African leaders have started devising new ways on how to remain in power by remote control. Some are now making sure that they have their fingerprints all over the selection of their successors when they leave power. They do so by coercion, persuasion, selection, and any other form of political horse trading. In most cases, this is not only to protect their interests in their political after life, but also to insulate them from any political boomerangs that they may face upon leaving office. That was exactly what Mugabe was trying to do when he fired his most trusted Vice President Emmerson Mnangagwa. 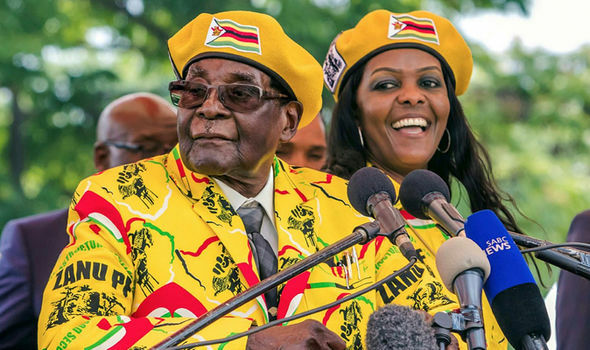 Since the last election in 2013 and under Grace Mugabe’s leadership, ZANU PF expelled key party members, purportedly to pave the way for her accession to power. But this must have been the final straw that broke the camel’s back and triggered the coup; sorry “bloodless correction. Mugabe’s government had lost legitimacy long ago. When a government loses legitimacy, it is no longer a government but an outlaw. His government’s inability to guarantee equitable growth and social welfare means that it had suffered a fatal decay of legitimacy many moons ago. Such had been the patient sufferance of the people; and such is now the necessity which constrains them to alter their former systems of government. At every stage of their oppression, the Zimbabwean people had petitioned for redress in the most humble terms, by elections. But their repeated petitions had been answered only by repeated injury. So when the long train of abuses, pursuing invariably the same object evinces a design to reduce them under absolute despotism, it becomes their right, it becomes their duty, to throw off Mugabe’s government, and provide new guards for their future . The Zimbabwe military now has the daunting task of legitimizing its actions and where it goes from here. This will be carried out in the midst of a plethora of objections, condemnations and possible resistance from Mugabe loyalists. But in order for the military to achieve this, it first needs to avoid the semantic gymnastics and display some nerve and definiteness about its actions and intentions. It needs to instill confidence in the people that it is clear about its objectives. New political road maps need to be defined. Calling the operation anything other than a coup will not help. It is not a replacement therapy, a political psychosocial assessment, or military bazaar. 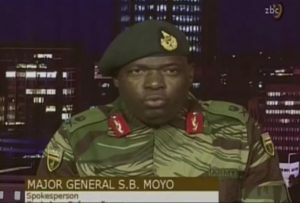 It is a COUP; the only means necessary to put Mugabe and the country out of their misery. There is no antidote to uncertainty, but it is how we embrace uncertainties in our lives that lead to great transformations. Zimbabweans would need to trust the wait, embrace the uncertainty, and enjoy the beauty of becoming; for when nothing is certain, anything is possible. We pray for a peaceful transformation. This is a brilliant analysis of the status quo in Africa in general and in particular Zimbabwe. Abdullah, you are a very cogent pen pusher. The only cliche I have with your style is that when it comes to Sierra Leone, you are cowed into speaking (well in this case writing) from both sides of your mouth. What is wrong if you ascribe the above-quoted statement from you to president Koroma? 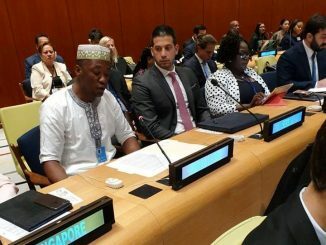 President Koroma’s action can lead Sierra Leone into uncertainty. What if he has gambled wrongly on his handpicked candidate-Dr. Samura Kamara? 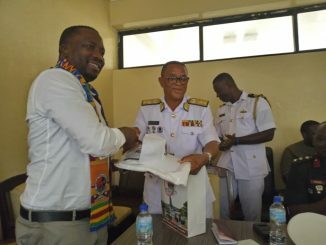 With the tremendous power he has kept for himself, he can throw the country into a fist if he decides to use his power in his party to disrupt a disloyal Samara Kamara. That would have constitutional ramification. I think as Sierra Leoneans we all should not be shied from calling a spade a spade and shaming Ernest Koroma from his pseudo dictatorship tendencies. I hear you boss. Sometimes it is more powerful to float an idea and allow people to connect the dots. Sometimes you have to encourage people to think and translate your views without stating the obvious. Most times I try not to tell people but encourage people to deduce. It helps me to stay objective as humanly possible. In most cases, i call a spade a spade, when its fact. When its an opinion, I try and bring people gently to my line of thinking without imposing my views. But I get your point. I will try more to speak from both sides of my mouth in future. Thanks for your compliments though.